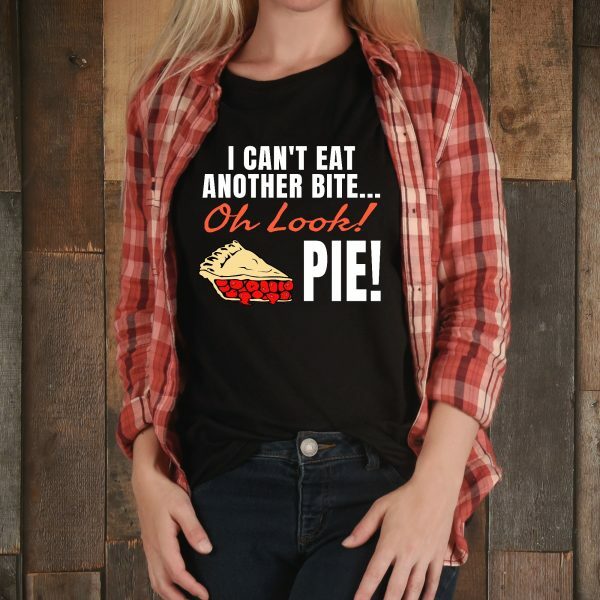 Funny “Oh Look Pie” T Shirt – Great for Thanksgiving or Christmas Parties! Funny Thanksgiving t-shirt for when you’re stuffed and can’t eat another bite — but then you spot the pie! Oh look, Pie! Thanksgiving tee. I Can’t Eat Another Bite Oh Look Pie funny Thanksgiving shirt! Turkey day shirt for pie lovers! Ideal Thanksgiving tshirt to wear at Thanksgiving Day dinner. “I Can’t Eat Another Bite Oh Look Pie” funny tee.